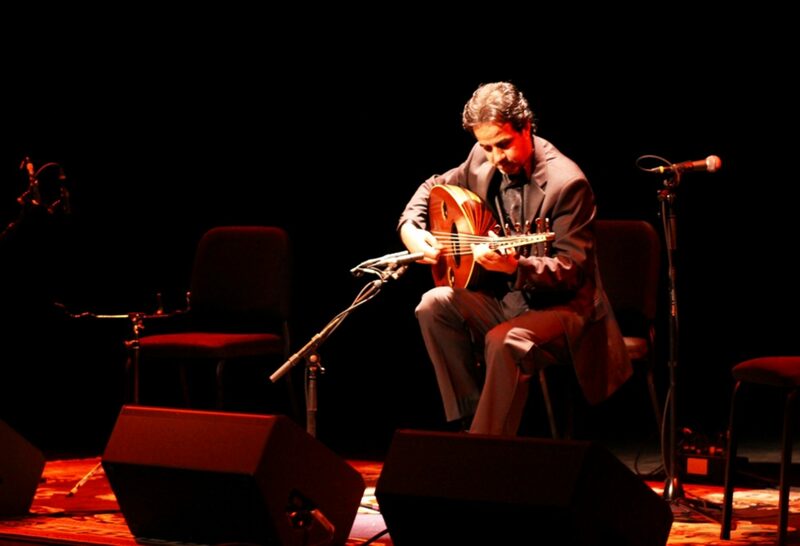 Born in Baghdad, Mukhtar has been playing the oud and Arabic percussions since 1979. He has worked with many folk music groups and musicians in the city. In 1983, he began studying both the oud and percussion at the Institute of Fine Arts in Baghdad with the Masters Ghanim Haddad and Jameel Jerjis. In 1985, Mukhtar began working with Arabic orchestras and performing on Iraqi TV with a variety of Iraqi groups. A few years later, in 1990 he attended the High Institute of Music in Damascus where he continued his studies of the oud and Western percussions. In 1999, Mukhtar earned an MA from the London College of Music, and in 2003, he received a Masters Degree in Performance with a focus on Middle-Eastern and Arabic music from SOAS (the School of Oriental and African Studies), London.